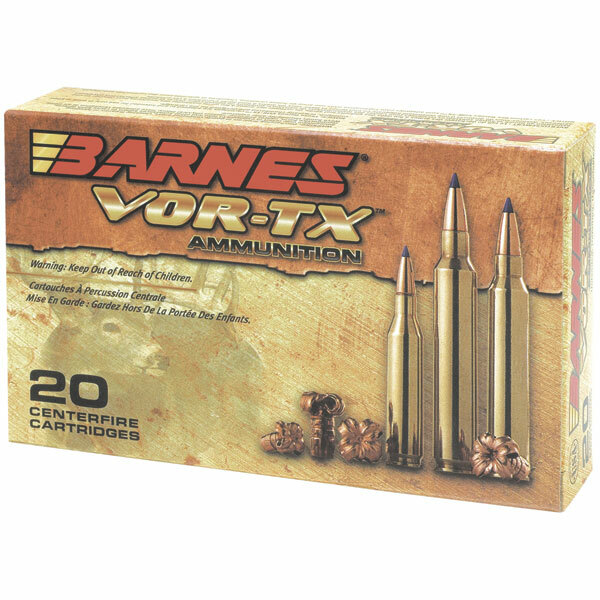 Barnes VORTX is precision ammunition loaded with TSX Tipped TSX or TSX FN bullets to offer doublediameter expansion maximum weight retention and excellent accuracy. The TSX bullets provide maximum tissue and bone destruction passthrough penetration and devastating energy transfer. Multiple grooves in the bullets shank reduce pressure and improve accuracy. Bullets open instantly on contact no other bullet expands as quickly. Nose peels back into four sharpedged copper petals destroying tissue bone and vital organs for a quick humane kill. Whether youre after whitetail deer elk antelope or boar put em in the VORTX and theyre going down.